I have a cool custom VW trike for sale! The motorcycle seen in the pictures is titled and currently tagged in NC North Carolina. This is one super sharp, 2015 custom-built trike motorcycle that is both beautiful to look at and to ride. 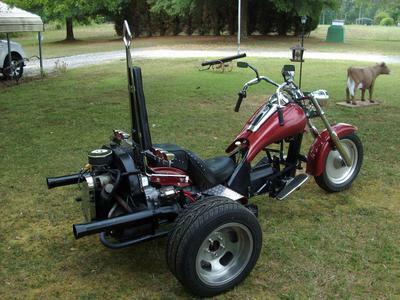 The nicely customized trike has no issues or problems and is simply ready to ride. and you will see that my price for this three-wheeler is right on the money! 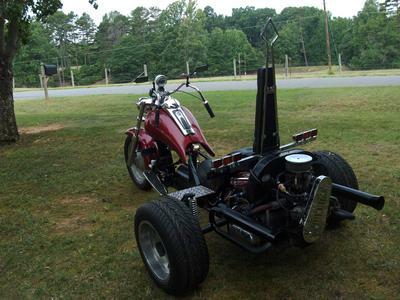 The Custom VW Trike for Sale is in NC North Carolina and I am asking just 8k for it. If you think you might want to see the trike or learn more about the build, etc. email me for info or send me a message using the form provided by GoGoCycles Used Trike Motorcycles for Sale. That's a beautiful drag man I'm sorry that it sold out from under me! how much for bike? is it road ready?